As its capacity for innovation deepens, China has become one of the leading global hubs for AI development. Recognizing that the nation’s vast population and diverse industry mix can generate huge volumes of data and provide an enormous market, China’s biggest tech companies are making significant R&D investments in AI. These technologies can dramatically boost productivity—and that could be a crucial capability for China to sustain its future economic growth as the country’s working-age population declines. Automating workplaces with AI could add 0.8 to 1.4 percentage points to GDP growth annually, depending on the speed of adoption. Realizing AI’s economic potential in China also depends on its actual adoption—not just among the technology giants but across China’s traditional industries. Achieving this goal will require building strategic awareness among business leaders, developing technical know-how, and overcoming implementation costs. But wide adoption of these technologies would represent a profound shift for hundreds of millions of Chinese workers and for Chinese society as a whole. MGI estimates that half of all work activities in China could be automated, making it the nation with the world’s largest automation potential. Jobs made up of routine work activities and predictable, programmable tasks will be particularly vulnerable. While the impact on the labor market is likely to be gradual at the aggregate level, it can be sudden and dramatic at the level of specific work activities, rendering some jobs obsolete fairly quickly. Overall, AI will raise the premium placed on digital skills while reducing demand for medium- and low-skilled workers, potentially exacerbating income inequality. Although the market will drive the development and adoption of AI, the right policy framework can establish a healthy environment for growth. Five priorities can form the basis of China’s AI strategy: building a robust data ecosystem, spurring adoption of AI within traditional industries, strengthening the pipeline of specialized AI talent, ensuring that education and training systems are up to the challenge, and establishing an ethical and legal consensus among Chinese citizens and in the global community. AI technologies have exciting and far-reaching potential to improve healthcare, the environment, security, and education. At the same time, they raise serious and complex ethical, legal, and security questions. China has the capability and opportunity to lead international collaboration in the development and governance of AI, ensuring that the necessary frameworks are in place to ensure that these breakthrough technologies make a positive contribution to global growth and human welfare. A MAN pedals a brand-new, orange and silver bicycle to his office door. He dismounts in the middle of the pavement, flicks down the kickstand and disappears inside. A woman approaches and waves her smartphone over a QR code near the rear mudguard. The lock snaps open and off she rides. These days, China’s once bicycle-clogged streets are choked with cars. But some urbanites are getting back on two (motorless) wheels, lured by the ease of using shared “dockless” bikes controlled by high-tech gadgetry. For years, bike-sharing schemes have been common in big cities around the world, including in China. Examples include Paris’s Vélib and London’s Santander Cycles (“Boris bikes”). But these require customers to return the bicycles to docking stations. In China, a more user-friendly approach is spreading rapidly. It involves bikes that can be paid for using a smartphone and left anywhere. GPS tracking enables them to be located with a mobile app. A ride typically costs only one yuan ($0.15) on a sleek-framed bike in an eye-catching colour. The first such service was launched in June 2015 by a startup called Ofo. The company now has around 2.5m yellow-framed bikes in more than 50 cities in China. Its main rival, Mobike, which started up only a year ago, says it has “several million” of its orange-wheeled bikes spread across a similar area. Bluegogo has half a million bikes in six Chinese cities. It plans to add a new city every two weeks. Several other companies are piling in, as are investors who believe the firms have global potential. Bluegogo was the first to launch overseas, in San Francisco in February. Ofo has recently started services in Singapore and San Diego, California. It was due to launch another one in Cambridge, England, as The Economist went to press. Mobike, too, is operating in Singapore and is eyeing other markets.The dockless system is prone to abuse. Some riders hide the bikes in or near their homes to prevent others from using them. Another trick involves photographing a bike’s QR code and then scratching it off to stop others from scanning it. With the stored image, the rider can then monopolise the machine. But customers caught misbehaving can have points deducted from their accounts, making it more expensive for them to rent the bikes. Cycling is also dangerous. About 40% of road accidents involve bicycles, according to a report in 2013. (Many bike lanes have been eliminated to make room for cars.) Some city authorities accuse the bike-sharing firms of causing congestion. This month the southern city of Shenzhen ordered limits on the number of shared bikes. Other cities, including Shanghai and Beijing, are considering similar measures. But Chinese leaders like the services—they represent the kind of green innovation that China says it wants. In January the prime minister, Li Keqiang, told Mobike’s co-founder that her business model was “a revolution”. Not, presumably, the kind that Mao led, but one that would have made the chairman feel at home with its profusion of two-wheelers. IT TAKES a little over 90 seconds. At the government-subsidised ration shop in Sargasan, a village in Gujarat, Chandana Prajapati places her thumb on a fingerprint scanner. A list of the staples she and her family are entitled to this month appears on the shopkeeper’s computer: 10kg of rice, 25kg of wheat, some cooking oil, salt and sugar. The 55-year-old housewife has no cash nor credit card, but no matter. By tapping in an identifying number and presenting her thumb one more time, Mrs Prajapati authorises a payment of 271 rupees ($4.20) straight from her bank account. It is technical wizardry worthy of Stockholm or New York; yet outside buffaloes graze, a pot of water is coming to the boil on a pile of firewood and children scamper between mud-brick houses. Like most Indians, Mrs Prajapati would have struggled to identify herself to the authorities a few years ago, let alone to a faraway bank. But 99% of adults are now enrolled in Aadhaar, a scheme which has amassed the fingerprints and iris scans of over 1.1bn people since 2010. With her authorisation, any government body or private business can check whether her fingerprints or irises match those recorded against her unique 12-digit identifying number in its database. When it comes to identification, India has unexpectedly leapfrogged every country with the possible exception of Estonia, a tiddler with a penchant for innovation. Being visible to the state is assumed in rich countries, if only because the taxman insists on it. But India had no equivalent of a Social Security number, and less than half of all births are registered. Only a small minority are required to pay income taxes. Plenty of those entitled to government services, meanwhile, have not received them, because they have not been identified as eligible or because middlemen have stolen their share. At the same time, the benefits rolls are filled with fake beneficiaries, created by those seeking to palm undeserved rations of fertiliser, food or some other subsidised good.Ghosts v the machineLinking ration cards to an Aadhaar number, and thus to the biometric data tied to it, means a single person cannot have more than one and ghosts can have none. The original pitch to politicians—the scheme was adopted by the previous government, but has been embraced by Narendra Modi, the prime minister—was that Aadhaar would help make welfare more efficient. The potential gains are huge. One official estimate suggests that “leakage” in subsidy payments meant that only 27% of the money ended up in the right hands: not so much a leaky bucket as a sieve. Over 400,000 ghost children were struck off school rolls in just three states after schools were required to match their pupils to Aadhaar numbers to keep receiving state funds. By weeding out false claims, authorities say they have saved $8bn in two-and-a-half years; the annual central-government budget for subsidies is about $40bn. That may be an exaggeration, and critics say there are other ways to improve the administration of subsidies. But the savings clearly outstrip the roughly $1bn cost of deploying Aadhaar. Changing the mechanics of how a benefit is received is often just as important as the benefit itself. Development experts like the fact that, at least in theory, a villager can gain access to a subsidy in a distant city. This removes a big barrier to internal migration. A project to purge electoral lists found 800,000 fictitious voters in Punjab, a state of 30m. The authorities suspect that 30% of driving licences are fake, many of them duplicates to help drivers evade bans—a ruse that would be impossible if all licences were linked to Aadhaar. Indeed, the improvements in accuracy and efficiency are so enormous that the government now wants to use Aadhaar more broadly than originally advertised. Recent edicts propose to make it compulsory for everything from booking train tickets to owning a mobile phone. If implemented, these new uses would put paid to the notion that enrolling in Aadhaar is voluntary, which was the promise of its backers—led by Nandan Nilekani, an IT grandee who used to chair the agency that set up Aadhaar. This in a country with no overt privacy laws, let alone a tradition of handling sensitive data competently (many ministries’ websites contain spreadsheets teeming with Indians’ personal data). But Aadhaar is a poor way to build up an Orwellian panopticon, Mr Nilekani argues, given the wealth of information already available from telephone records, GPS data, bank statements and the like. A bigger problem may be the impracticalities of the system. Unlike reading an ID card, checking someone’s identity through Aadhaar requires an internet connection and, often, electricity. Ration-shop owners in out-of-the-way places are known to march their customers to the top of a hill, roof or tree—wherever a phone signal can be found—to check their identity. Even then, samples seem to show that roughly a third of authentications come back negative, an extraordinarily high failure rate for a technology that people rely on for necessities. The chafed fingers of manual labourers often cause problems, for example. Those high failure rates are just teething troubles linked to Aadhaar’s many new uses, says Ajay Bhushan Pandey, the head of the agency overseeing the scheme. Devices that scan irises (which offer more reliable readings) are becoming cheaper and should become the norm, he says. Already the Aadhaar database is being tapped 20m times a day, 20 times the rate of a year and a half ago. That thrills cheerleaders as much as it alarms critics. CHINESE parents pride themselves on the importance they attach to education; it is, they say, the most important gift they can bestow on the next generation. That makes them all the more willing to shell out, if they can afford it, on expensive boarding schools which they believe will enable their children to concentrate fully on their studies. Poor families in the countryside pack their children off to board, too. But that is because they have no choice: daily commuting would be too expensive or arduous. In the cities, boarding schools are usually far grander. Attending them is more a badge of privilege than evidence of pragmatism.There is considerable demand for such urban schools. In many rich countries, parents often fret about sending their children away to board, partly because of the high cost and partly because these days many parents prefer to have their children with them. In China, by contrast, it is considered very normal for a couple to live apart from their child (they usually only have one). For urban boarders, the distance is seldom great: parents usually send their children to schools very close to where they live. Boarding school offers an alternative to foisting a child on grandparents, which parents often do, sometimes for days on end. It may be costly, but parents reckon that such schools can do more to help children study after class than the elders can at home. In a country where siblings are so rare, many also see communal living as good for their offspring. Some 3.5m children now board in cities, around 4% of the urban school population. The vast majority of them do so at high school (8% of secondary-school pupils board, compared with 1% of primary schoolers). A few of the boarding schools court the country’s elite by offering to prepare children for admission to universities abroad (in China, foreign education is another much-desired symbol of privilege). The redbrick quadrangle of the recently built Keystone Academy in a suburb of Beijing resembles a boarding school in New England. The institution’s annual boarding fee of 360,000 yuan ($52,000) is higher than tuition at Harvard University. But the most expensive boarding schools may have had their heyday. Many parents with that much cash to spare would often prefer to send their children to board abroad: enrolments in American and British boarding schools are rising fast. Social trends are also changing. A wife who can afford not to work—and who has time to parent a child—is increasingly seen as someone who enjoys high status: traditional gender roles are making a comeback. In 2014 Yin Jianli, a popular author and former teacher, included an essay entitled “Boarding is a Bad System” in a book she wrote about education. It argued that if dorm-life really fostered the “sense of collectivism” that its proponents claim, then children from orphanages would score top marks. She said that mothers should be more involved in child-rearing. For ordinary middle-class parents, less fancy state-run boarding schools are becoming more affordable: often they cost only a few thousand yuan a year. But even their future may be threatened. President Xi Jinping’s anti-graft drive is making it harder to secure a place in the best ones by using the once common methods of paying backhanders and pulling strings. These days having a child at a good state boarding-school can be a sign of corruption. No one wants that badge. THROUGHOUT Chinese history, the dawn of new dynasties often involved moving the entire capital, imperial palace and all, to a new city. By those dynastic standards, Xi Jinping’s ambitions are modest. He simply wants to shift some of Beijing an hour’s drive to the south. But by the standards of modern urban development, his vision is grand indeed. All going well, the new area, known as Xiongan, will cover 2,000 square kilometres, nearly three times the size of New York City or Singapore. A “first-class international city”, as the planners put it, will rise from land that is home today to scrubby fields, a large lake and a series of drab towns.China, which sometimes opts for modesty in unveiling plans lest they fall flat, did not hold back on April 1st when it revealed those for the “Xiongan New Area” in Hebei province. An official statement described Xiongan’s development as a “strategy crucial for the next millennium”. It compared the project to the creation of China’s two most spectacular built-from-scratch urban expanses: Shenzhen, a metropolis next to Hong Kong, and Pudong, Shanghai’s glittering financial district. The point of Xiongan is to tame Beijing’s surging population, which has caused gridlock on its streets and exacerbated a chronic shortage of water. The capital has been trying for several years to encourage people to move out of its core districts. To make commuting easier, it has been improving transport links with nearby cities. By the end of 2017 the municipal government is due to relocate from the centre to Tongzhou, a suburb to the east. But Xiongan is the first entirely new city to feature in the effort. It is named after Xiong and Anxin, two counties in Hebei that will form the bulk of its territory along with a third county, Rongcheng—see map. Beijing will still serve as the capital. But businesses and universities unrelated to that function will be urged to move to Xiongan. Mr Xi wants the new city to have a “beautiful environment”, with high-tech industries and efficient transport. By the end of its first phase (time unspecified), it will cover 100 square kilometres, almost double the size of Manhattan. In China bedlam often ensues in the rush to build. There has already been a taste of this in Xiongan. Within hours of the announcement about the new city, speculators were flocking to the area’s existing property developments to buy up whatever was available. Highways leading to it were clogged with cars. Its housing prices tripled. To rein in the exuberance, the government ordered a halt to all property transactions in the new area. Jokes abound on social media about the wealth that Xiongan’s rural residents will soon enjoy (if officials forgo their common practice of seizing land for little compensation). One was a spoof ad, written as if by someone from the countryside whose marriage prospects now look bright: “Male, 53, two acres in Xiongan, seeking woman, 25 or younger, beautiful, preferably with study-abroad experience”. It would be unwise to bet all on Xiongan’s rise. Over the years China has tried to build numerous new cities, several of which have been costly failures. More than a decade ago the government declared that the Binhai New Area, a vast development in Tianjin, would be north China’s answer to Shenzhen and Pudong. It has never taken off. Another stillborn project was Caofeidian, an “eco-city” in the Bohai Gulf. Internet censors have been deleting any doubts that netizens have been raising about Xiongan. An article asking whether the new city would be the second Shenzhen or the second Caofeidian disappeared soon after it was published online. But Xiongan has a big thing going for it: the full backing of Mr Xi. News broadcasts showed the president touring the area and chairing a meeting about its development. So long as Mr Xi remains China’s leader—ie, at least for the next five years—building Xiongan will be a priority. Whether this is a good idea is another question. Taking Beijing as it exists today—a city of more than 20m people with 19 subway lines, dozens of universities, a large cluster of high-tech firms and umpteen road and rail connections to other large cities—and trying to make it work better might be more sensible. Yet given all of the capital’s urban maladies, the temptation to start with a clean slate is hard for planners to resist. Peking University, an elite Beijing institution where Mao Zedong once worked as a librarian, will open a branch of its HSBC Business School in Oxford early next year, financial magazine Caixin reported on Thursday. The school is setting up camp in Foxcombe Hall, which it recently purchased for a reported £8.8 million (US$11.97 million). The 19th century manor was home to the eighth earl of Berkeley. Wen Hai, its dean, said Peking University had beaten off competition from three rivals, including an unnamed Oxford college, by offering a “very tempting price” that left the sellers “little room to say ‘no’”. Wen said the university had been able to do so thanks to its close ties to China’s Communist Party. Those connections allowed it to “to expedite the transfer of money transfer needed for the acquisition” despite tight capital controls imposed by Beijing in an attempt to stop firms and citizens shifting large sums of money overseas. Last summer’s vote by the United Kingdom to leave the European Union, which has seen the pound plummet against the Chinese yuan, will also have helped the buyers. AS DONALD TRUMP prepares to welcome Xi Jinping next week for the two men’s first face-to-face encounter, both countries are reassessing their place in the world. They are looking in opposite directions: America away from shouldering global responsibilities, China towards it. And they are reappraising their positions in very different ways. Hare-like, the Trump administration is dashing from one policy to the next, sometimes contradicting itself and willing to box any rival it sees. China, tortoise-like, is extending its head cautiously beyond its carapace, taking slow, painstaking steps. Aesop knew how this contest is likely to end. China’s guiding foreign-policy principle used to be Deng Xiaoping’s admonition in 1992 that the country should “keep a low profile, never take the lead…and make a difference.” This shifted a little in 2010 when officials started to say China should make a difference “actively”. It shifted further in January when Mr Xi went to the World Economic Forum in Davos, Switzerland, and told the assembled throng that China should “guide economic globalisation”. Diplomats in Beijing swap rumours that a first draft of Mr Xi’s speech focused on the domestic economy, an uncontroversial subject that Chinese leaders usually like to talk about abroad. Mr Xi is said to have rejected this version, and brought in foreign consultants to write one dwelling more on China’s view of the world. Whether this story is true or not, the speech was strikingly international in tone and subject matter. A day later Mr Xi made it clear whom he had in his sights. At the UN in Geneva, he talked about a “hegemon imposing its will on others” and warned America about a “Thucydides trap”—the disaster that befell ancient Greece when the incumbent power, Sparta, failed to accommodate the rising one, Athens. In February Mr Xi told a conference on security in Beijing that China should “guide international society” towards a “more just and rational new world order”. Previously Mr Xi had ventured only that China should play a role in building such a world. There was a time when America was urging China to step up its global game. In 2005 Robert Zoellick, then America’s deputy secretary of state, urged China to become a “responsible stakeholder” in the international system. But nothing much happened. After the financial crisis of 2008 there was excited talk in China and the West about a “China model” or “Beijing consensus”. This was supposedly an alternative to the so-called Washington consensus, a prescription of free-market economic policies for developing countries. But those who promoted a China model did not say that it should be adopted by other countries, only that it was right to reject what they saw as a one-size-fits-all Washington consensus. Is there more to it this time? Is China challenging America for global leadership? To answer that, it is important to begin with the way China’s political system works. Policies rarely emerge fully formed in a presidential speech. Officials often prefer to send subtle signals about intended changes, in a way that gives the government room to retreat should the new approach fail. The signals are amplified by similar ones further down the system and fleshed out by controlled discussions in state-owned media. In the realm of foreign policy, all that is happening now. Soon after Mr Xi’s comments in Davos and Beijing, the prime minister, Li Keqiang, gave his annual “work report”—a sort of state-of-the-nation speech. It included an unusually long passage about foreign policy and mentioned quanqiu (meaning global) or quanqiuhua (globalisation) 13 times. That compares with only five such mentions last year. As is their wont, state-run media have distilled the new thinking into numerical mnemonics. They refer enthusiastically to Mr Xi’s remarks on globalisation and a new world order as the “two guides”. And they have begun to discuss the makings of an idea that, unlike the old one of a China model, the country would like to sell to others. This is the so-called “China solution”. The phrase was first mentioned last July, on the 95th anniversary of the founding of the Chinese Communist Party. Mr Xi’s celebratory speech asserted that the Chinese people were “fully confident that they can provide a China solution to humanity’s search for better social institutions”. The term has gone viral. Baidu, China’s most popular search engine, counts 22m usages of its Chinese rendering: Zhongguo fang’an. No one has defined what the China solution is. But, whatever it means, there is one for everything. Strengthening global government? There is a China solution to that, said the People’s Daily, the party’s main mouthpiece, in mid-March. Climate change? “The next step is for us to bring China’s own solution,” said Xie Zhenhua, the government’s special climate envoy, in another newspaper, Southern Metropolis. There is even a China solution to the problem of bolstering the rule of law, claimed an article in January in Study Times, a weekly for officials. Multi-billion-dollar investments in infrastructure in Central Asia are China’s solution to poverty and instability there. And so on. Unlike the China model, which its boosters said was aimed at developing countries, the China solution, says David Kelly of China Policy, a consultancy, is for everyone—including Western countries. This marks a change. Chinese leaders never praised the China model; its fans were mainly Chinese academics and the country’s cheerleaders in the West. (Long before the term became fashionable, Deng advised the president of Ghana: “Do not follow the China model.”) Most officials were wary of it because the term could be interpreted as China laying down the law to others, contradicting its policy of not interfering in other countries’ internal affairs. In contrast, it was Mr Xi himself who broached the idea of the China solution. His prime minister included it in his work report. China now seems more relaxed about bossing others around. This reflects not only the determination of the leadership to play a bigger role, but a growing confidence that China can do it. China’s self-assurance has been bolstered by what it sees as recent foreign-policy successes. Last year an international tribunal ruled against China’s claims to sovereignty in much of the South China Sea. But China promptly persuaded the Philippines, which had brought the case, implicitly to disavow its legal victory, eschew its once-close ties with America and sign a deal accepting vast quantities of Chinese investment. Soon after that Malaysia, another hitherto America-leaning country with maritime claims overlapping those of China, came to a similar arrangement. China’s leaders concluded that, despite the tribunal’s ruling, 2016 had been a good year for them in the South China Sea. It was certainly a notable one for Mr Xi’s most ambitious foreign policy, called the “Belt and Road Initiative”. The scheme involves infrastructure investment along the old Silk Road between China and Europe. The value of contracts signed under the scheme came within a whisker of $1trn last year—not bad for something that only started in 2013. Chinese exports to the 60-odd Belt and Road countries overtook those to America and the European Union. In May Mr Xi is due to convene a grand summit of the countries to celebrate and advertise a project that could one day rival transatlantic trade in importance. But talk of “guiding globalisation” and a “China solution” does not mean China is turning its back on the existing global order or challenging American leadership of it across the board. China is a revisionist power, wanting to expand influence within the system. It is neither a revolutionary power bent on overthrowing things, nor a usurper, intent on grabbing global control. China is the third-largest donor to the UN’s budget after America and Japan (see chart) and is the second-largest contributor, after America, to the UN’s peacekeeping. Last year China chaired a summit of the Group of 20 largest economies—it has an above-average record of complying with the G20’s decisions. Recently it has stepped up its multilateral commitments. In 2015 it secured the adoption of the yuan as one of the IMF’s five reserve currencies. It has set up two financial institutions, the Asian Infrastructure Investment Bank and the New Development Bank, which are modelled on traditional ones such as the World Bank. Global rules on trade and finance, it seems, are too important for Mr Xi not to defend. China is becoming a more active participant in the UN, but it is not trying to dominate it. It reacts to, rather than initiates, sanctions policy towards North Korea. And despite its own extensive anti-terrorist operations at home, it shows little interest in joining, let alone leading, operations against Islamic State. So what might China’s unassuming new assertiveness mean in practice? A template can be found in climate-change policy. China was one of the main obstacles to a global climate agreement in 2008, but now its words are the lingua franca of climate-related diplomacy. Parts of a deal on carbon emissions between Mr Xi and Barack Obama were incorporated wholesale into the Paris climate treaty of 2016. China helped determine how that accord defines what are known as “common and differentiated responsibilities”, namely how much each country should be responsible for cutting emissions. As chairman of the G20 last year, Mr Xi made the fight against climate change a priority for the group. But China’s clout at that time was bolstered by its accord with America. Now Mr Trump is beginning to dismantle his predecessor’s climate policies. Li Shou of Greenpeace says China is therefore preparing to go it alone as Mr Xie, the climate envoy, said in January that it was prepared to do. It may be that a “China solution” to climate change will be the first practical application of the term. The western Indian state of Gujarat has passed a law making the slaughter of cows punishable with life imprisonment. Under an amendment to the state’s Animal Preservation Act, those found guilty of transporting beef will also be jailed for 10 years. The cow is considered sacred by India’s Hindu majority, and killing cows is illegal in many states. But the new amendment means Gujarat now has the toughest laws on the issue in the country. Offenders will face heavy fines, as well as time behind bars. The penalty for either act has been doubled from 50,000 rupees ($771; £618) to 100,000 rupees. Gujarat Minister of State Pradipsinh Jadeja told reporters that the cow was a symbol of Indian culture and the amendments to the act had been made “in consultation with the people”. Chief Minister Vijay Rupani has also spoken repeatedly of “harsh” punishment for those who kill cows. The new laws will come into effect from Saturday. Liu Fenghai has made his fortune in the ivory trade. There was a time when he had 25 craftsmen working exclusively on elephant ivory at his factory in the northern city of Harbin. He would buy the raw ivory and then have it turned into the pendants, paperweights and statues that once filled shelf after shelf in his shop, as well as the much larger, elaborately carved whole tusks proudly displayed on plinths of their own. At the height of the market some of them could sell for many thousands of dollars. Now, to the delight of conservationists everywhere, China is calling a halt to this lucrative end of a brutal and bloody trade. Mr Liu says he will mourn the end of the legal ivory trade in ChinaIn fact, although ivory carving can indeed be traced back centuries in China, for much of that time it existed only as a niche art form and the Chinese made barely a dent in the global ivory trade.Throughout the 19th and 20th Centuries, the mass slaughter of elephants was carried out at the hands of the European colonial powers and then later North American entrepreneurs. Western demand for ivory ornaments, jewellery, piano keys and billiard balls helped reduce the African elephant population from more than 20 million in the year 1800 to just two million by 1960. Then came Japan’s post-war economic rise and the slaughter was propelled through the 1970s and ’80s, by which time the elephant was teetering on the brink of extinction. It was only with the international ban on the trading of elephant ivory in 1989 that the species was given a brief respite. 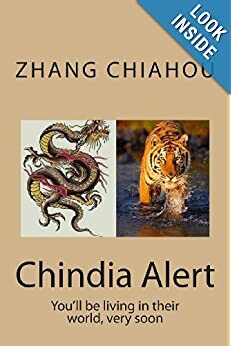 Once again though, it was another major shift in the global financial order that signalled further disaster – China’s emergence as a major economic power. An explosion of wealth coupled with the Communist Party’s unique blend of corruption and crony capitalism made ivory the perfect repository of value, both for ostentatious displays of success and discrete gift giving. The facts and figures behind China’s ivory tradeAn art form became an industry and in a few short years China began to account for up to 70% of the global demand for ivory. Today, as a result of the surge in poaching, the elephant is once again facing complete annihilation, with estimates suggesting there are fewer than half a million left in Africa. There may be no more wild populations within a decade. If Mr Liu believes it is a sin to lose an ancient art, how much more of a sin to lose an ancient species in the name of the mass-produced – often machine-carved – ivory tat that makes up the bulk of the products on sale in China today? This week, by the end of business hours on Friday, almost half of China’s authorised, government-approved ivory factories and shops will have closed their doors for good. A team of officials from the UN Convention on International Trade in Endangered Species (Cites) will be on hand to witness the shutdown. The rest of China’s legal trade will be gone by the end of the year – a total of 34 factories and 138 shops. Vegetable ivory: Could an obscure seed save the elephant? It is a deeply symbolic moment, a “game changer” according to campaigners, with one of the most high profile and vocal, the UK’s Prince William, publically applauding the Chinese government’s decision as “an important commitment”. No small irony, perhaps, given the role the prince’s own ancestors played in promoting the trade, with more than 1,000 ivory items still held in the royal collection. Campaigners say China’s move could be a “game-changer” for elephants. But closing China’s carving workshops and retail outlets is so important, it is argued, not only for its own sake, but because this legal business acts as cover for a much bigger black market trade.In 2008 China was allowed, under the Cites system, to buy a 62-tonne stockpile of seized African ivory. The theory was that, with careful monitoring and a system of certificates, the stockpile would provide a controlled supply to China’s factories and therefore dampen demand for illegal ivory by helping to keep prices low. It has had the opposite effect. It appears to have in fact stimulated demand by giving consumers the green light that ivory was ok to buy. Coupled with poor enforcement, corruption and fraudulent certifications a huge amount of illegal, newly poached ivory flooded into China and on to the market, some of it under the guise of Cites authorised stock. Demand rose further and prices, rather than going down, skyrocketed. Research suggests that the illegal stockpile of ivory in China today may stand at 1,000 tonnes or more, far in excess of that supposedly well regulated and controlled quantity purchased back in 2008. 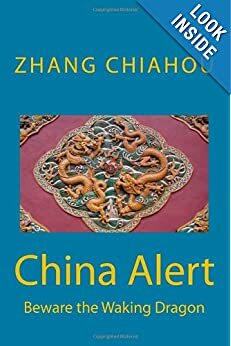 Now, although there are undoubtedly other factors at play – not least the slowing Chinese economy and the crackdown on official graft and gift giving – the announcement of the ban on the legal trade does appear to be helping to bring the speculative frenzy to an end. Consumers and dealers have been sent a strong signal that the game is up and prices of ivory have recently been dropping, from more than $2,000 (£1,611) per kg in 2014 to around $700 per kilo today. Big questions remain, however. As in other markets, like the UK, the Chinese announcement appears to allow for the continued trading of antiques, which campaigners fear may act as a loophole. Meanwhile, the government has not said what it will do with the remaining stockpile of legal ivory and how it will prevent it from leaking on to the black market. And while the new policy may well drive the illegal trade further underground, controlling it will still depend on the resources given to law enforcement agencies. Our own research suggests a less than wholehearted willingness to tackle wildlife crime. For more than two decades, trade in rhino horn has been completely prohibited in China. Selling, purchasing, transporting or mailing it has been punishable by harsh sentences, including life imprisonment for the worst offenders. And yet, via a quick search on the internet, traders can be found openly offering rhino horn for sale as whole pieces, as jewellery or for use in Chinese medicine. The risk attached to both buying and selling appears to be small. “Trust me, I’ve never had any problems before,” one of the online vendors said, after sending us pictures of rhino horn bracelets.